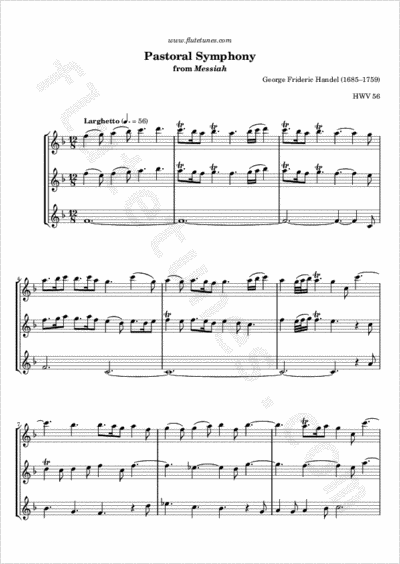 Today we propose an arrangement for three flutes of one of the most famous pieces from G.F. Handel's oratorio Messiah. This piece is often heard during the Christmas season and at weddings. Thanks to Joyce Kai for contributing this arrangement!